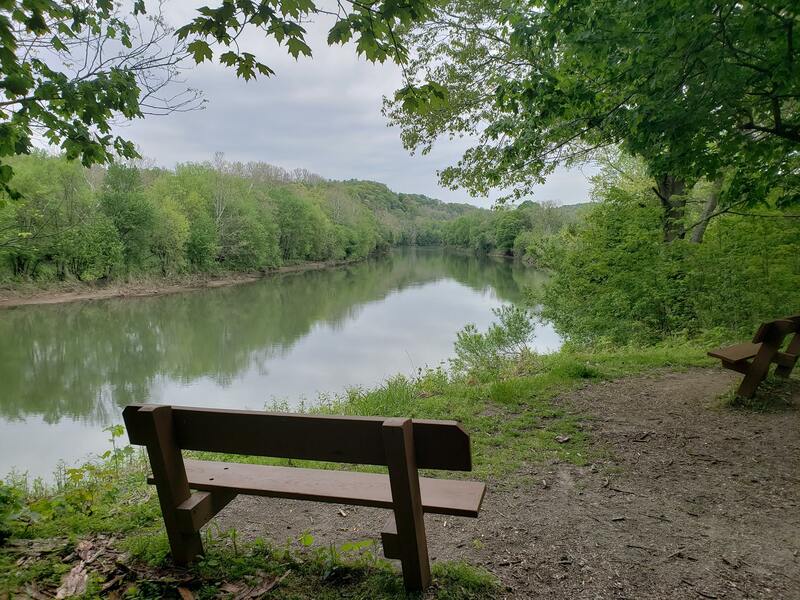 That portion of the Youghiogheny River Trail extending south from the 15th Street Bridge in McKeesport to the Westmoreland County line commonly referred to as The Boston Trail lies on the right-of-way of the former Pittsburgh & Lake Erie Railroad. The P&LE, once the backbone of the Andrew Carnegie steel empire, carried coke from more than 50,000 coke ovens and coal from numerous coal mines in the Youghiogheny River Valley to the steel mills of Pittsburgh past. 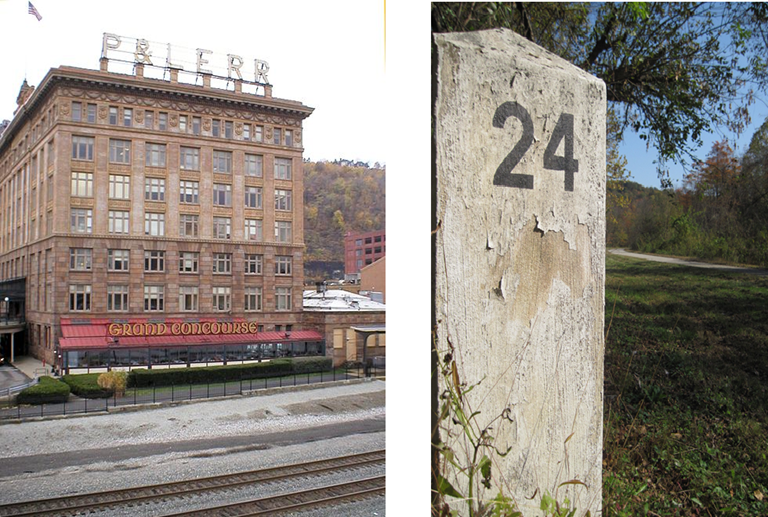 The P&LE Terminal (today Station Square) in Pittsburgh, was mile 0 for the railroad. Mile markers showed the distance from the terminal. The railroad remained a work-horse for transporting coal and passengers from ‘coal patch’ towns through-out the valley until the demise of local steel manufacturing in the 1980’s. Today, a crushed limestone surface has replaced the railroad tracks, and the concrete mile markers and preserved rail cars in Boston and West Newton stand as silent reminders of the bustling commerce that was once the lifeline of the Youghiogheny River Valley. 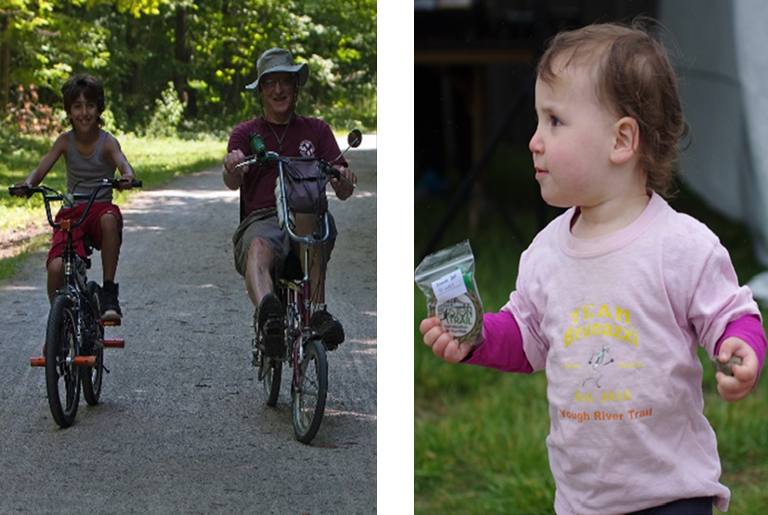 The multi-use recreation trail that has since evolved is no less a treasure in its own right. The Boston Trail hosts more than 750,000 regional visitors annually. 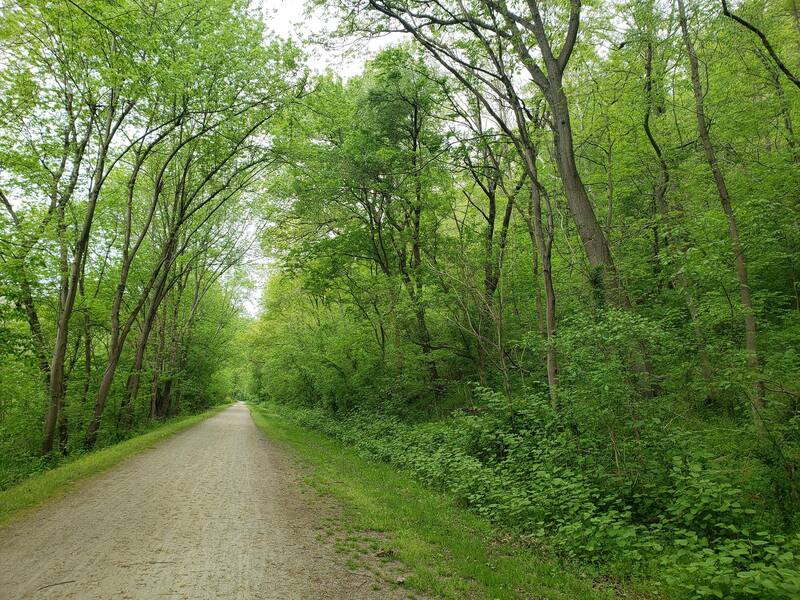 Part of the Great Allegheny Passage that connects Pittsburgh, PA to Washington, DC, it has become a destination for trail enthusiasts from across the country and around the world. Even in its absence, that railroad now resigned to the archives of history, continues to serve us in the form of a ‘greenway’ that will benefit many generations to come. Copyright 2018 | Mon/Yough Trail Council | Elizabeth Twp PA | All Rights Reserved.